Whether you are planning to have an intimate wedding or an exorbitant one, Dayawanti Tikamdas Hall will surely match your unique choice, budget, and requirements. With a capacity of accommodating up to 150 in seating and 300 in floating, the venue has a cosy and comfortable interior for the guests. It also offers an in-house team of caterers that puts all the efforts to delight the guests with mouth watering multi-cuisine dishes. 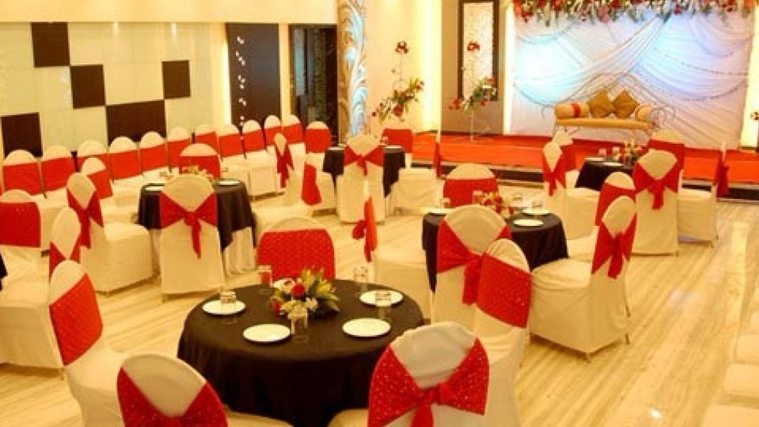 Popular amongst the localities, Dayawanti Tikamdas Hall, Khar, Mumbai, is a venue for your highest preference. The venue has beatifull designed interior with deeming lights which makes it a perfect ambiance to host pre-wedding and wedding ceremonies. At Dayawanti Tikamdas Hall, you can enjoy delicious food offered by expert team of chef's which will leave you and your guests wanting for more. The venue is flexible for its customers to make your event lively by getting your own DJ. Venue does not allow outside caterers. In-house catering provided by paneled caterers. Venue does not allow outside decorators. In-house decoration provided by paneled decorators. Venue allows outside DJ. No royalty applicable. Venue does not allow alcohol. Venue is available in the following time slots: 10:00 a.m. - 03:30 p.m. (Morning) 07:00 p.m. - 12.00 a.m. (Evening) one changing rooms are provided to the bride and groom. Venue has open road parking facility. The nearest railway station is Khar Station. Landmark: Khar R.T.O office. Established in 2009, Grace Banquets (Under Renovation) in Khar West, Mumbai. is one of the most sought after one banqueting facilities in the city. It was setup with a view to provide an elegant and superior banqueting space to cater to the varied requirements of their clients. Whatever the celebration may be, big or small, it is this firm's endeavour to make each celebration, a rousing success. It is one of the preferential venue partners to host corporate events as well as intimate gatherings and ceremonies like birthday bashes, mehendi, haldi, weddings or receptions. Popular amongst the localities, Dayawanti Tikamdas Hall, Khar, Mumbai, is a venue for your highest preference. The venue has beatifull designed interior with deeming lights which makes it a perfect ambiance to host pre-wedding and wedding ceremonies. At Dayawanti Tikamdas Hall, you can enjoy delicious food offered by expert team of chef's which will leave you and your guests wanting for more. The venue is flexible for its customers to make your event lively by getting your own DJ.